We are excited to announce that Netsweeper will be exhibiting once again at the Mobile World Congress 2018 in Barcelona! Attending as members of the Ontario Trade Commission, Netsweeper will be representing our Industry-leading technology that supplies customers with the most dependable web filtering platform available on the market. Used worldwide by enterprises, educational providers, managed service providers, ISPs, and Carriers, we identify, track, and filter prohibited material while addressing regulatory compliance. 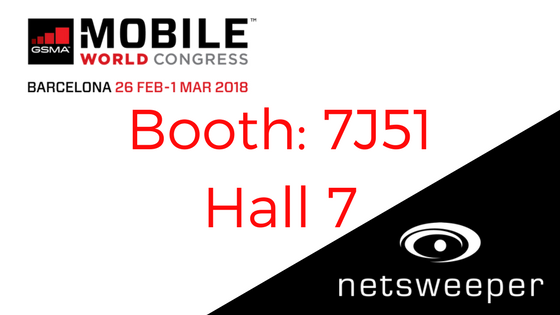 Visit us at #MWC18 in Hall 7 Booth 7J51 to hear more about Netsweeper’s dynamic technology and our commitment to a safer, user-determined experience that we guarantee for all of our customers worldwide. Get exclusive details about our promotions, chat with our knowledgeable team, and meet our CEO Perry Roach to learn more about the latest Netsweeper products and updates. Contact us today to book your appointment and include MWC Appointment Request in the description.